Why Didn't My Take-Home Pay Increase With My Raise? When you get a raise or promotion, you’re generally given an increase in your annual salary or an increase in your hourly wage. Either way, the number may sound great on paper. On the way home, you may create an elaborate plan for what you’re going to do with that money or what you want to splurge on with your new, bigger paycheck. But when that first new paycheck rolls around, you may be disappointed. The large amount you are expecting has disappeared, rather the increase in take-home pay is much smaller than you thought it would be. Below, we explain how to understand your paycheck and know just where all your earnings are going. Unless you were close to moving up a tax bracket, your tax rate (or tax percentage) is not going to go up. However, the amount in taxes that is taken out of your pay will go up, because of your raise. Remember, the taxes taken out of your check are a percentage of your total pay, so when your pay increases, so do your taxes. You can try to limit the amount you pay in taxes. Explore options to reduce your taxable income, like increasing your retirement contributions or opening a flexible spending account during open enrollment. These options could lower the amount you pay in taxes since both are deducted from your pay pre-tax. However, this is not likely to increase your take-home pay, just the amount you pay in taxes. Many people do not consider that their retirement contribution will go up when they get a raise. Your retirement contribution is a percentage of your gross pay. This means that as your pay increases, your retirement contributions will also increase. If you recently received a raise and are disappointed that your take-home pay didn’t increase exponentially, try increasing your retirement contribution. Just keep in mind the contribution limits for both 401(k)s and IRAs. Experts say you should contribute at least the percentage that your employer matches to your 401(k), and max out potential contributions to an IRA, but you could also contribute even more once you get a raise. This is the ideal time to increase your retirement contributions because you will likely not even miss the money. This lets your raise go to work for you and your future. It may be frustrating since you will not see the raise now, but you will be glad you upped your contribution when it’s time to retire. Many people spend as much as they earn, no matter how much they bring home in take-home pay. When you first get your raise, you may be surprised that you go through your money just as quickly as you did before you got the raise. You could find yourself in the situation where you make a good salary, but somehow you are still struggling. No matter how much you earn, you should stick to a monthly budget to ensure that you don’t spend everything you earn and that you stick to your financial goals, not just spend all the extra money you’re earning. 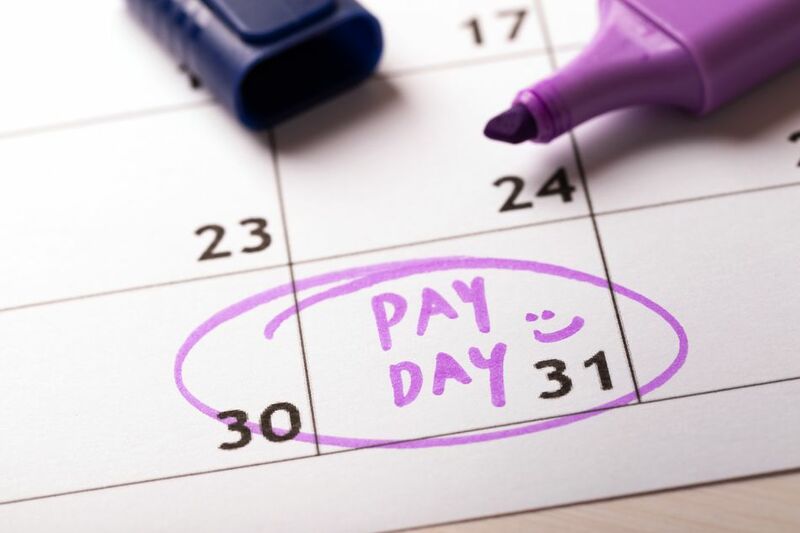 While you may want to splurge that first paycheck after a raise, it’s important to adjust, and stick to, a workable budget. Once you have figured out your take-home pay, you can create a solid budget, which can prevent you from feeling like you have nothing to show for your hard work. You could also earmark that extra money and put it toward a bigger financial goal, like getting out of debt or hitting a major savings goal, or even buying a home. If you were underemployed, you may finally be making enough to get by, but you still need to a tight budget until you get your finances back on track. This can take work and time, but doing it now will make it easier to focus on your career and other areas of your life in the future. Once you get a promotion or raise, it’s important to continue to work hard and keep a positive attitude, both things that likely earned you a raise in the first place. It can only help you continue to move up in the company and increase your earning power. Also keep in mind that no job is ever guaranteed, even if you recently received a raise. So it’s always a good idea to be prepared to change jobs and keep all of your skills current. Also, be sure your emergency fund can cover at least 6 months of living expenses, that way if you ever do lose your job down the line, you won’t be forced to go into debt to stay afloat.